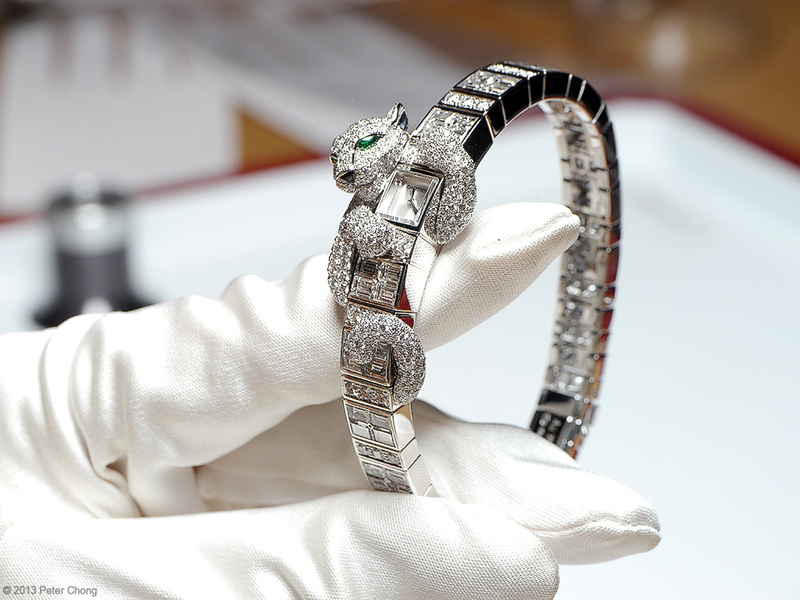 On Tuesday, I featured the high horology side of Cartier...with their Mysterious series...but most know Cartier as a jewellery company, excelling in miniature sculptures which are indeed works of art. 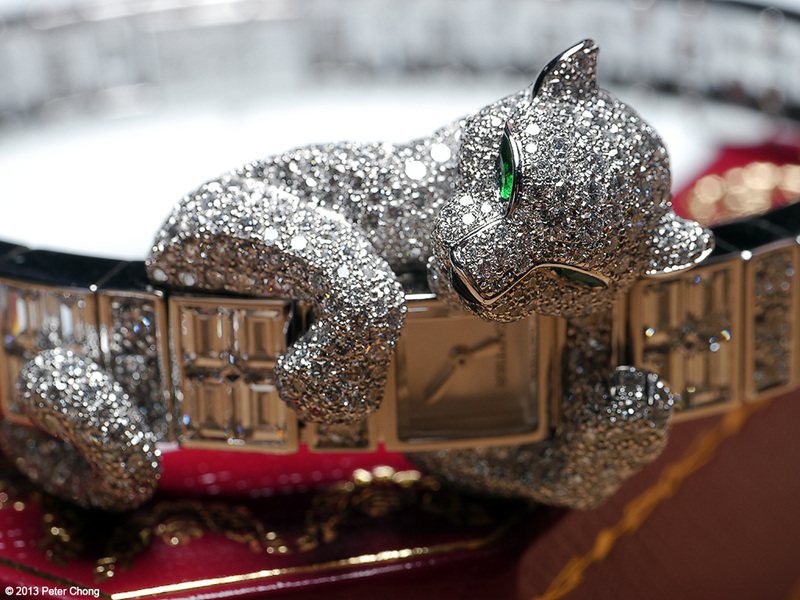 I feature in today's post, the famous Cartier panther...in two guises...both watches, both extremely beautiful, both real works of art. 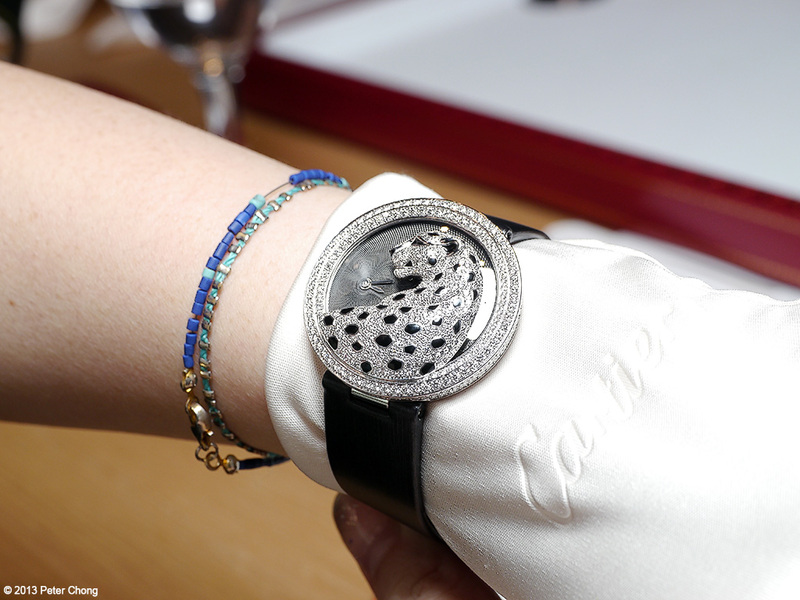 The timekeeping on these wonderful bejewelled pieces are secondary...in this case relegated to a small indicator with hours and minutes. Center stage is the magnificent panther. 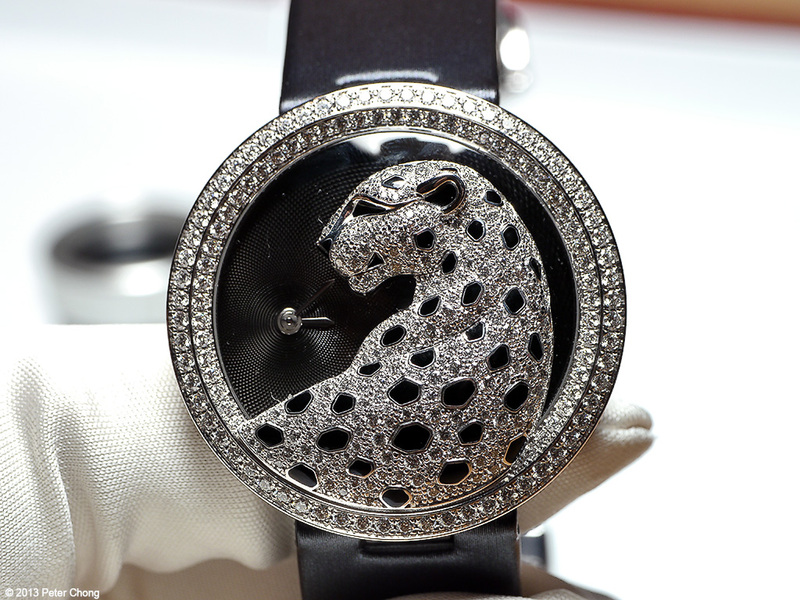 Crafted in 3d, with diamonds and jewels...magnificent. Even more beautiful on the wrist. 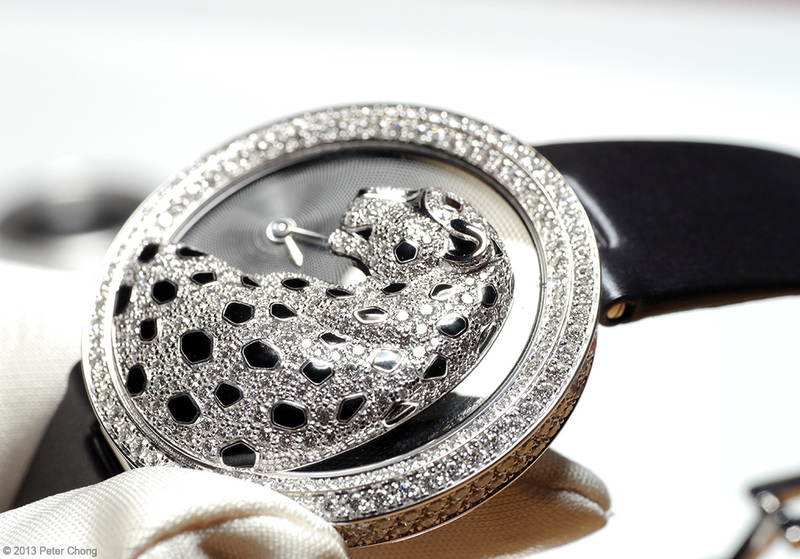 Another interpretation of the panther, on a very thin, jewellery watch...super elegant for an evening soiree.. I find the craftsmanship fo the sculpture amazing...the panther looks all at once, playful and beautiful...seemingly able to convey a sense of emotion.